If a swimming pool is not well-chlorinated, it may develop three different colors of algae: Green (blue), yellow, and black. Green (or blue) is the most common type and also the easiest to remove. They all can cause a number of health hazards ranging from a slippery coating on skin and pool walls to a harmful bacteria growth. Why Is My Pool Water Green or Blue? If you are asking this question, it is because you have green alga in your pool. Green (or blue) alga normally forms due to poor pool sanitization (chlorination) and poor filtration. This type is the easiest to get rid of. It floats freely on the surface, which makes the water look green. It will sometimes stick to the pool walls, but the good news is that it is easier to brush off than the yellow or black types. To get rid of it, I prefer to use an algaecide. If that doesn't work, you need to do a light shocking using liquid chlorine (see instructions below). Algaecide can also be used preventatively once a week, especially during hot and humid seasons. Why Is My Pool Water Yellow or Orange? This means that mustard or yellow alga is growing in your pool. This type looks like sand or pollen. It's very sticky and adheres to pool walls that don't get lots of sunlight. It is chlorine-resistant, very stubborn, and in some cases, it will grow even on pool equipment, toys, floats, or bathing suits. You cannot get rid of this type with a small amount of chlorine or algaecide. You will need to deeply shock the pool using a high dosage of chlorine and clean all affected equipment with chlorine, as well. See instructions below. What Is That Black Stuff In My Pool? Black alga is the least common and the most difficult to get rid of. It has a very strong defense mechanism and deep roots that make it very hard to remove. It will normally look like small, dark black spots on your pool walls. 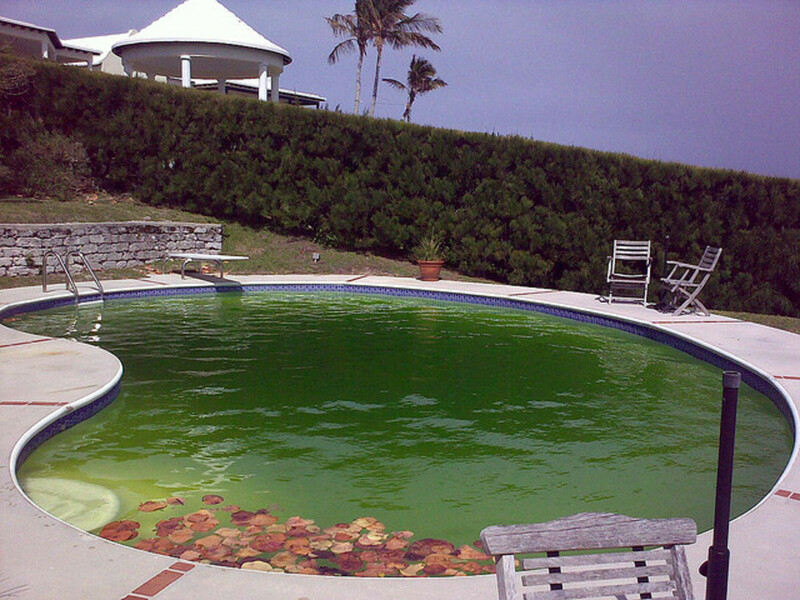 What Causes Algae to Form in a Pool? Algae form mainly in hot and humid climates or during the summer, simply because chlorine reduces as water temperature increases. But don't think, even for a moment, that maintaining chlorine levels is enough: You need to maintain an appropriate balance of all chemicals. Most chemicals used in the pool, such as pH chemicals, sanitizers, alkali, phosphate, stabilizers, and more, will affect how chlorine works and how it is consumed. 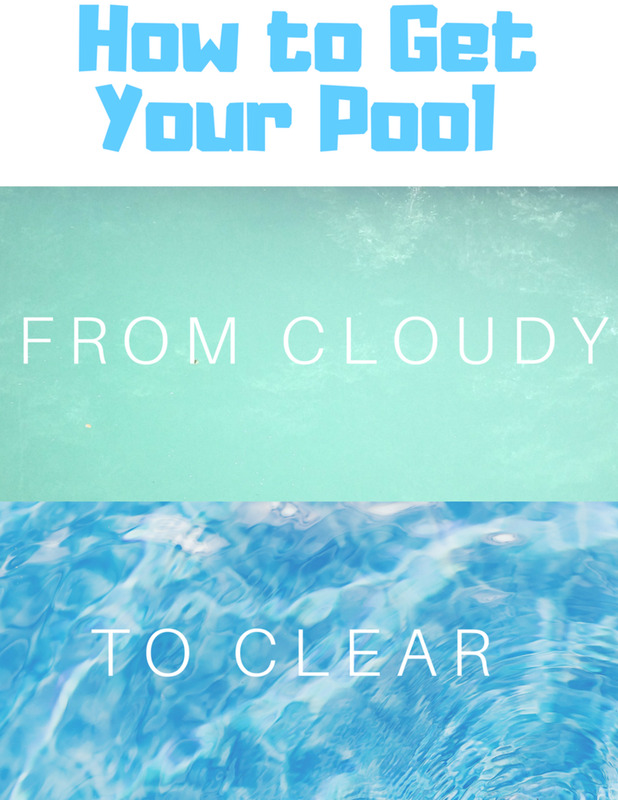 For this reason, the only perfect way to avoid algae or cloudy water is to constantly maintain the correct chemical balance in your water, which means using an accurate pool water testing kit. First, you need to begin troubleshooting the problem one step at a time until you end up with clear, blue water. For yellow and black algae, it is a long process and cannot be achieved in a day or two, but for green algae, you may solve the problem in a matter of hours. Yellow and black algae will require a heavy brushing of pool walls and floor, while green algae may only need a light brushing. Large and visible debris should be dealt with first. Here, you will need to use a large leaf net instead of the hand skimmer. 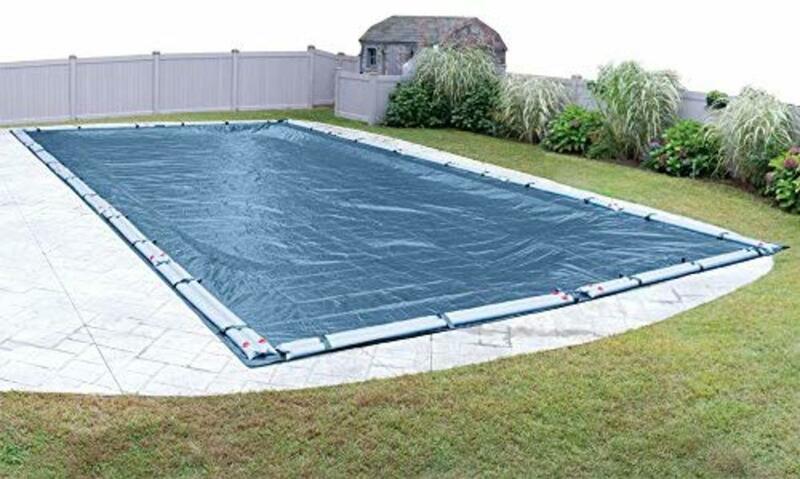 Note: A large leaf net will stir up the entire pool and move debris that has settled on the bottom. As a result, the water may look dirtier, but it will eventually settle down with time. Be cautious not to use vacuuming equipment if the water still has large bits of debris floating in or settled on the bottom of the pool. This will block your pipes and filter. 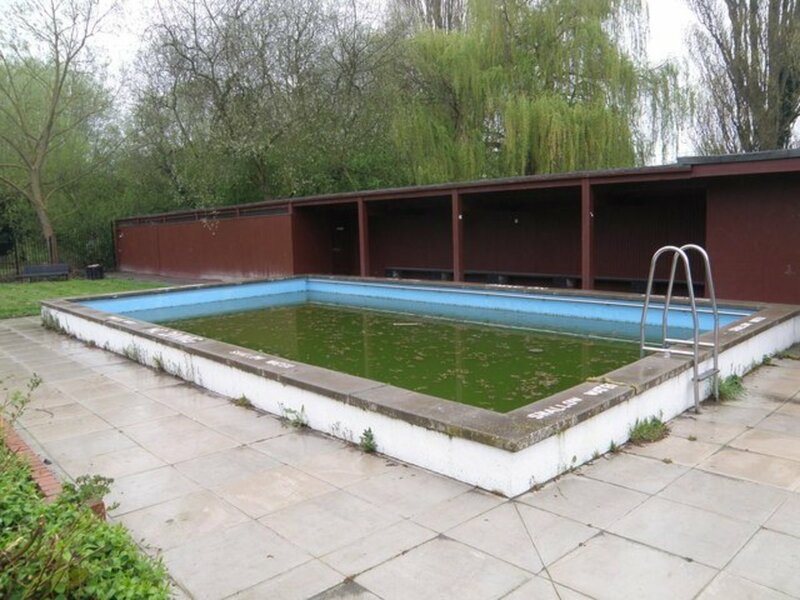 Note: Only vacuum your swimming pool when you can clearly see its bottom to ensure that no large debris still remain. At this point, your water may still be an off color, but it should be free of large and small particles. Now, you need to test and establish the pH level before adding any pH solution. A pH level of 7.4 to 7.8 is fine. Anything above or below that needs attention. Use the pH Plus (pH Increaser) to increase a pH level lower than 7.4. On the other hand, use pH Minus (pH Reducer) to decrease a pH level higher than 7.8. Ensure that the pH level is within the correct range, or else the water will not clear up. The final step is to chlorinate the water to kill algae and any bacteria that is present. I like using liquid chlorine, preferably sodium hypo chloride. It works much faster than the powdered kind. Check out When and How to Shock Your Swimming Pool. Note: It's important to mention that this is an experimental process, therefore results will not appear after one day. 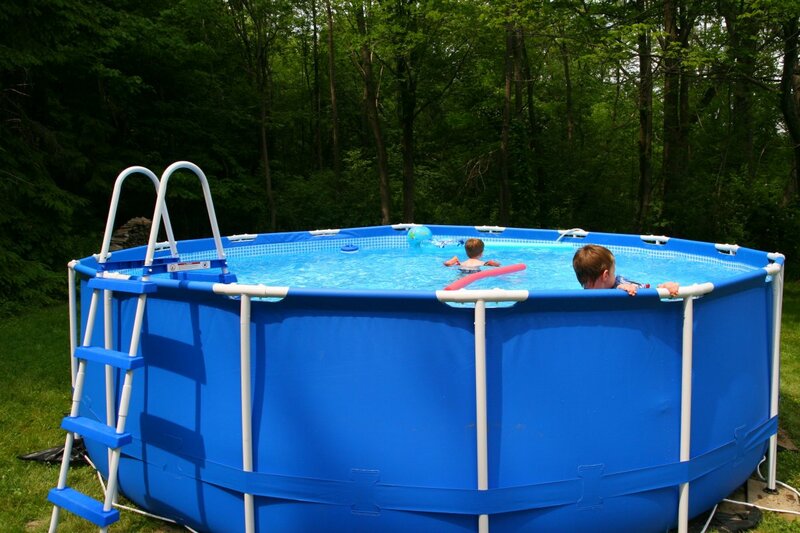 Clear pool water is usually achieved after two or three days of correct chlorination. 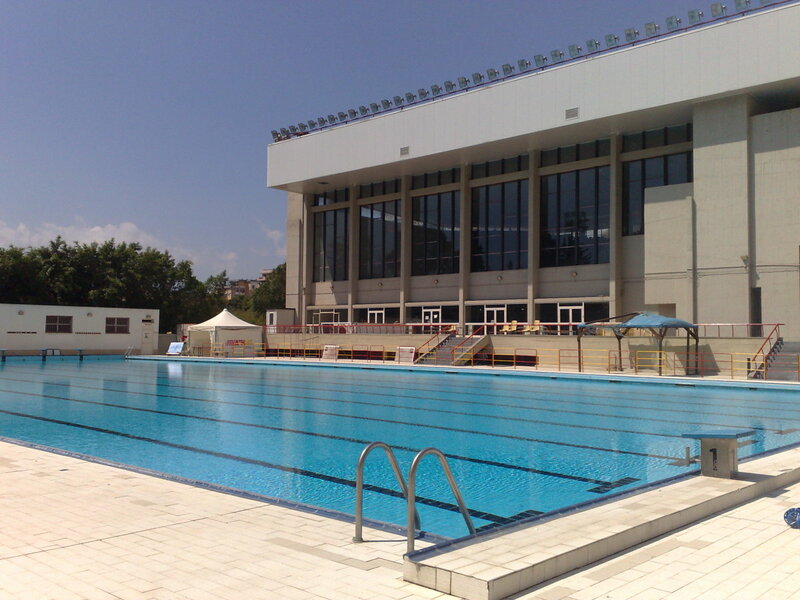 If you feel that you need to use more chlorine, don't use a large amount in one go. Use three or four gallons to start and wait to see if it clears up. If the first chlorination makes little to no change, add another three or four gallons the following day. Because a swimming pool cannot be over-shocked, you can add more and more chlorine every day until the water totally clears up. You may also need to add algaecide to help kill the algae faster. Chlorine levels in the water may be high as a result of this process, however, it will reduce with time. Don't worry too much. The main thing here is to focus on the clarity of the water. The more you run the filter, the faster the water will clear up. Also, remember that dirty swimming pool water will clog the filter system more frequently during this process, particularly the DE and cartridge pool filters. Because of this, you need to backwash your filter every day to ensure that it operates effectively during the process. Note: The more the filter runs and the more it is backwashed, the faster the water will clear up. If you have the DE filter, this process may be shorter since the DE filter is more efficient than the sand or cartridge types, but you need to remember to add a new DE after every backwash to facilitate the process. Whichever filter you are using, ensure that your system is functioning properly. If the filter system is not working properly, the pool water will never clear up, even after all this effort, and you will have to replace or repair the filter. Free chlorine (added chlorine) is the substance responsible for attacking bacteria and other contaminants. As the free chlorine is used up, combined chlorine (or chloramine) is formed, which cannot kill bacteria and other harmful organisms. 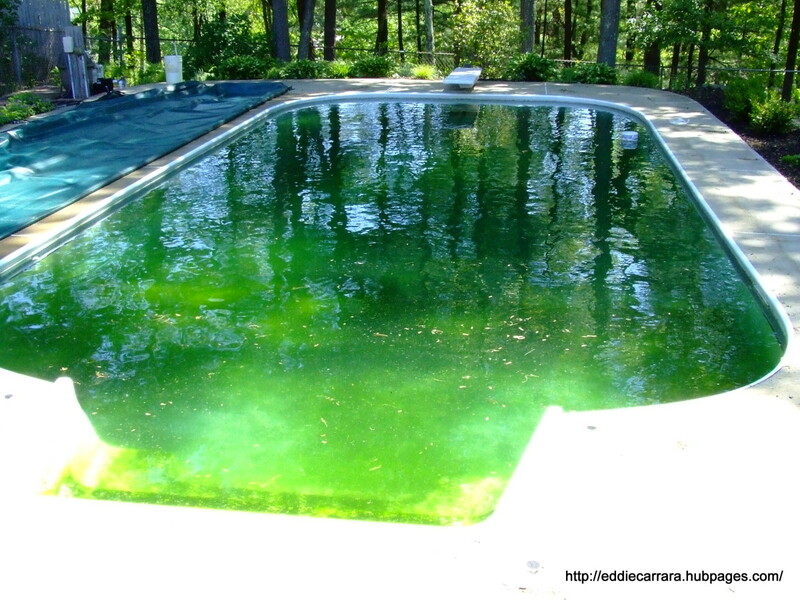 The higher the combined chlorine in the water, the higher your chances of having algae. There are a number of chlorine shocks you can buy. Whichever you choose, ensure that free chlorine is always maintained at 3 ppm. It is recommended to maintain combined chlorine levels always below 0.5 ppm or at 0.0 ppm, if possible. To reduce chloramine levels, you must shock the pool. If you have an outdoor swimming pool, you can use cyanuric acid as chlorine stabilizer to help prevent UV rays or hot water temperatures from consuming free chlorine at a higher rate. Ensure that you always maintain the correct pH level. It should always be between 7.4 and 7.8, with 7.6 being the ideal. To control the pH, use either pH Plus (pH increaser) such as muriatic or sulfuric acid, or use pH Minus (pH reducer) such as soda ash. 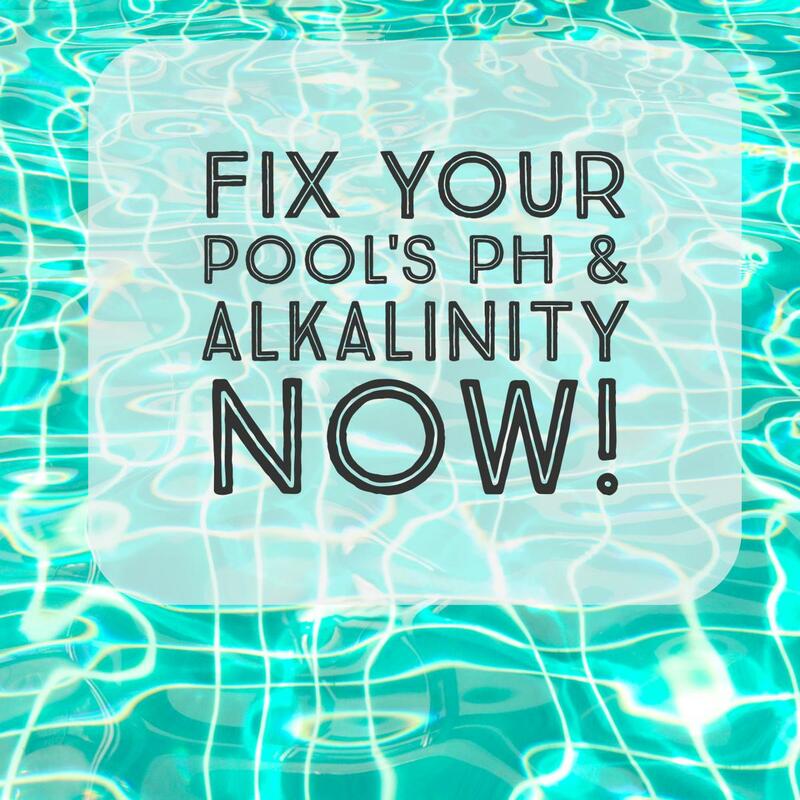 When total alkalinity (TA) increase out of range (between 80 ppm and 120 ppm), pH and calcium will increase to destructive to levels. Ensure that you lower TA to recommended levels to avoid issues with pH and calcium scaling. It is always essential to frequently test your water and take chemical readings to ensure that it is chemically balanced. If possible, testing should be done on a daily or weekly basis depending on which chemical you are testing for. Rather than guessing the chemical level by matching colors with several brands of test strips, I use a digital pool water test kit. If you can find an accurate and easy-to-use kit like the LaMotte ColorQ Pro 11 digital water test kit, it will save you a lot of time as it is easy to use and very effective. It contains a number of tests including pH, free, combined, and total chlorine levels, bromine, calcium hardness, total alkalinity, metals, and cyanuric acid. To avoid troublesome mathematics, after getting the correct values of all chemicals, I use a pool calculator to find appropriate amounts of chemicals to add. How easy can pool chemistry get? Your filtration and circulation system plays a very important role in pool health. A faulty filter and poor circulation system will cause dirty and stagnant water, which may bring about green or cloudy water. You need to ensure that all pumps are working properly. Regularly clean, change, and backwash your filter when needed. Which Pool Water Test Kit do You Use? This comprehensive DIY guide should help in your efforts in eliminating algae. It is also important to note that maintaining a pool is cheaper than paying to rectify a problem. How regularly do you check and maintain your swimming pool status? On a monthly basis; I have litle time! My pool water is well balanced and very clear, but there is a greenish coating adhering to the floor and walls which cannot brush off. Could it be pollen? The greenish coating is algae. You need to get rid of algae using Algaecide, which you can find on Amazon through a link in this article. 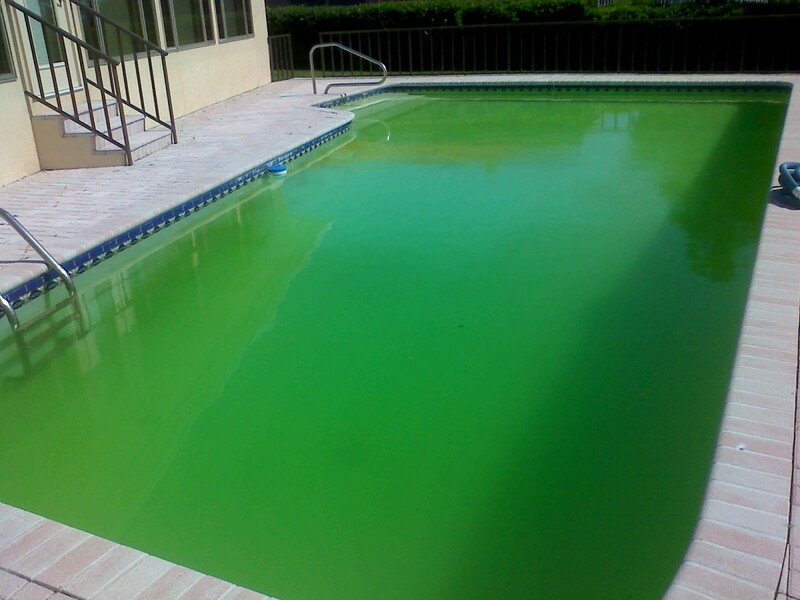 If Algaecide does not work within 24 hours then you need to super shock the pool using plenty of liquid chlorine till the greenish coating disappear. Ammonia may find its way in swimming pool water as a result of decayed leaves and other materials from plants being swept or dropped into the pool. You can keep ammonia away by cleaning leaves and other plant materials from your pool as soon as they get into the pool. A pool that is not properly chlorinated has a higher chance of having ammonia so it is always good to watch over chlorine levels to keep ammonia away from your pool.